Babyologists if you’re the owner of a Phil & Teds Sport v2 or Classic v1 stroller please click through for an important safety message. The crew at Phil and Teds have issued the following important safety notice regarding hinge covers for all Sport v2 and Classic v1 strollers. Consistent with our unwavering commitment to safety we are providing consumers with notice of a voluntary recall to repair of the now discontinued sport v2 and classic v1 strollers, manufactured between April 2008 and June 2010. We are making available, free of charge, to all affected consumers a free self-fit hinge cover. This is in response to a number of reported cases in which the frame lock of a sport v2 (which shares a common hinge with the classic v1) was not utilised and an adult user caught a finger in the hinge mechanism, causing injury. 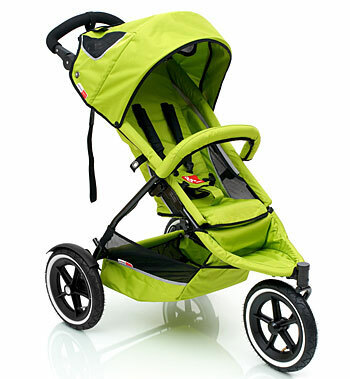 Of the phil&teds stroller range only these two strollers are affected by this recall to repair. All other models have different hinge mechanisms and are unaffected. Safety is our first priority and through this voluntary effort we urge consumers to immediately obtain and fit the free kit which may be obtained via the online order form. Should you have any queries at all please feel free to contact one of our trained customer service representatives. phil&teds stresses that all users should read and adhere to the instruction manual which contains valuable safety tips and service recommendations. To register for your free hinge cover, simply fill out the Official Sport V2 / Classic V1 Recall To Repair form. Because the fantastic folk at Phil & Teds value their customer support they’re giving away three Lobster high chairs and an Explorer stroller. All you have to do is register for your replacement hinge cover between now and the end of February 2012. Happy safe strolling!